On February 1, a press conference of the public reception of the Ukrainian Helsinki Human Rights Union, which has been operating over 9 years in Ternopil, was held in the reading room of the Ternopil Oblast Library. Partners of the Ternopil public reception are NGOs: ENGO “Green World”, NGO “Helsinki Initiative-XXI” and the editorial office of the Svoboda Newspaper. Representatives of the public reception spoke about their experience in providing legal aid, strategic human rights litigations of the reception’s lawyers and partner organizations. They also talked about the existing problems of the access to justice, public information, administrative services. Last year, the reception’s lawyers provided more than 900 consultations on legal issues to residents. 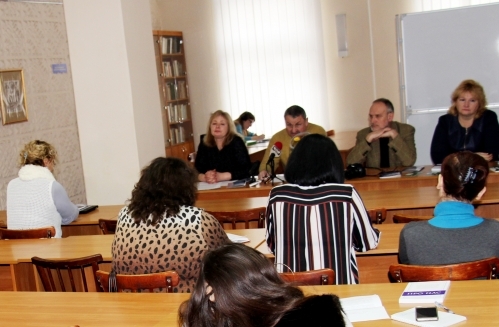 Regular field visits to different regions were organized: to the Chortkiv and Kremenets local centers of free legal aid and Buchach District Council. Field visits were also organized for prisoners of the Zbarazh and Kopychyntsi prisons of the Penitentiary Service Department in Ternopil Oblast. Regular consultative online receptions via the Internet centers network of the district public libraries from the premises of the Ternopil Regional Scientific Library were established. During the year, the reception organized about 70 public outreach activities, distribution of legal and humanistic books, showed documentaries about human rights and so on. 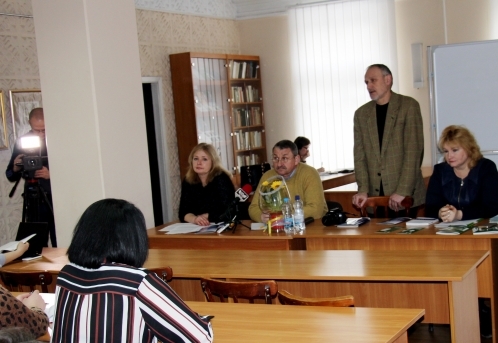 The participants of the press conference were Olha Kushneryk and Petro Liupa, lawyers of UHHRU in Ternopil, Oleksandr Stepanenko, a coordinator of the reception, and Oksana Sodomora, Head of the Public Access to Legal Information Department of the Ternopil Oblast Library, and Iryna Hondohiy, Head of the Ternopil Oblast Center for Legal Aid. The Ukrainian Helsinki Human Rights Union provides legal aid through the network of public receptions. There are 32 receptions currently operating in Ukraine in 23 oblasts. Their work is funded by the Government of Sweden, through the Swedish International Development Agency (SIDA), the Government of Canada through Global Affairs Canada within the Human Rights First program and the US Agency for International Development (USAID) under the Human Rights in Action program.